So finally something good happening while I am stressing over my chickenpox. 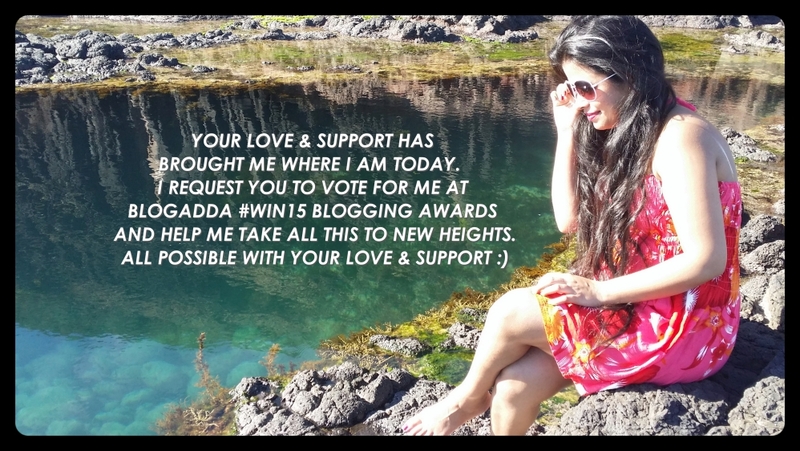 My blog, your blog actually, has been nominated in Blogadda’s 10 blogs on ‘Beauty and Skin’ #WIN15. To win, to succeed, to touch a new high, to feel loved. I know we are always supportive of each other and that’s why we are what we are. Without you people, I am nothing. After all, who likes writing and writing without having an audience :P.
Awesome! Good luck to you Charu! Done and all the best, dear. Best of Luck. Not sure how the voting is done but I think I have.